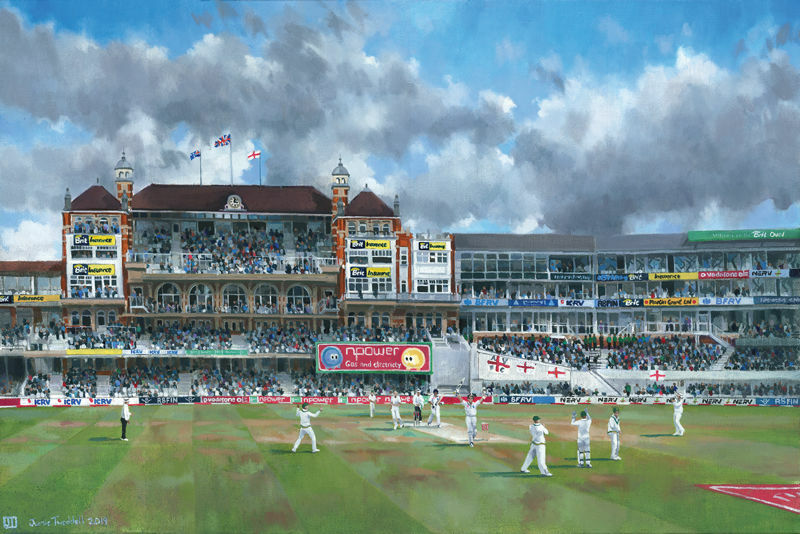 The fifth and final Test of the 2005 Ashes Series at the Oval in London. It entered its final day with England batting in their second innings, Australia needed a win to force a 2–2 series draw and retain the Ashes; any other result would give the Ashes to England and end 16 years of hurt. This was the stage for Kevin Pietersen to play his superlative innings of 158 which included 15 fours and 7 sixes to set up a famous series victory over their old rivals. Here is that moment of intense celebration for the 150, Pietersen walks towards the OCS stand before turning to face the Pavilion as thunderous applause rings around the ground in a truly memorable sporting moment.